The ICO strongly recommends that businesses seek to appoint a DPO even when it is not mandatory for the specific companies. However, GDPR also mandates that the DPO must not have any role conflicts, must be independent and suitably qualified. For most companies that means recruiting a new senior resource. Our virtual Data Protection Officer service offers you an alternative, it offers you the ability to outsource your company’s regulatory DPO requirements. Our service is a cost-effective easy to use service for companies seeking to appoint a DPO. Our team of experienced professionals acting on your behalf to fulfil the duties required by a DPO. 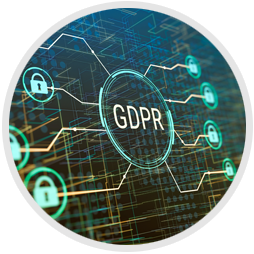 It allows us to stay focused on your GDPR compliance needs allowing you to focus on your company’s core activities. Our Virtual DPO team will work in conjunction with your line managers, IT and compliance staff to understand your workflows and regulatory obligations. We will help you to build security by design into your business processes and recommend mitigations to plug any privacy gaps that they identify. NEED A VIRTUAL DPO? Contact Us!